Training Older Workers and Learners is a groundbreaking resource that focuses exclusively on age 40–plus workers. This much–needed resource offers trainers expert guidance and practical tools designed to deliver effective training and re–training to older worker–learners (OWLS). Based on sound theory and best practices, the book shows how to maximize the workplace learning and performance potential of late–life learners. "This is an essential book for our times. . . . almost every organizational leader should be striving to better understand, develop, and retain older, mature workers." "An informative and practical overview of effectively utilizing human capital across the generations." 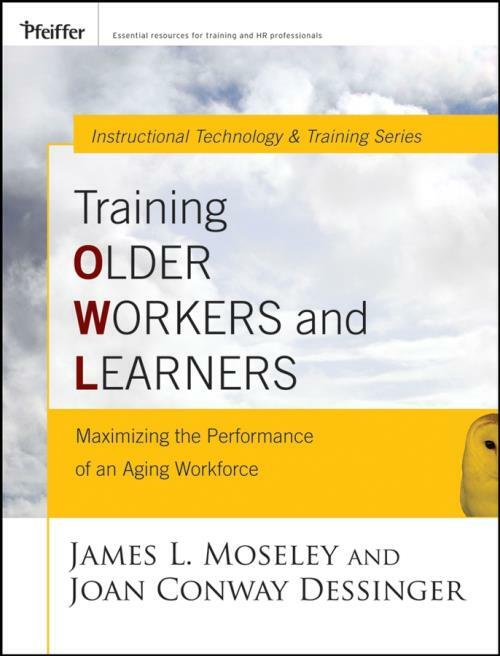 "Moseley and Dessinger offer insights in this text that will equip IT, HPT, and management professionals to utilize older–learner–friendly training interventions and performance support tools." "The authors describe how best to maximize the abilities of older workers and how to best change our view of work and retirement." "This book will be an asset to anyone interested in identifying strategies and tactics necessary for maximizing their human resources."